There's plenty of competition (and at some lower price points) but we found it an excellent inexpensive stand in for its pricier big brother and a great all rounder for your studio. 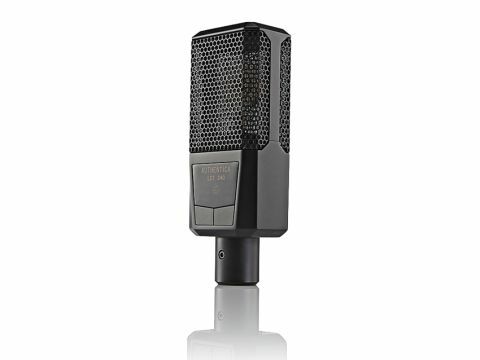 Austrian mic brand Lewitt's LCT640 is modern classic that's right up there with AKG's C414 for all round flexibility and performance. And the great news is that this less expensive, Chinese-made 240 goes a long way towards duplicating it's all-powerful timbre. With a solid, edgy modern sound it sounded great on loud male vocals and guitar cabs with a big expansive bottom end. Build wise it's world-class weighty and solid and the illuminated display and flush push buttons for -10 or -120dB and 40Hz and 300Hz high-pass filter are silent - and give the mic great 'at the in stage' flexibility.